Congratulations to Jen, Shaun, Rick, and Felice for being the chosen winners of the GelaSkins giveaway! Today we have a premium accessory review! 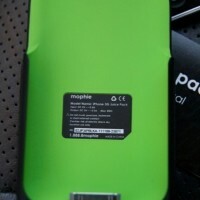 It is called the “Juice Pack” from makers “Mophie” and it is a rechargeable battery for the iPhone 3G and wow, is it ever sleek! 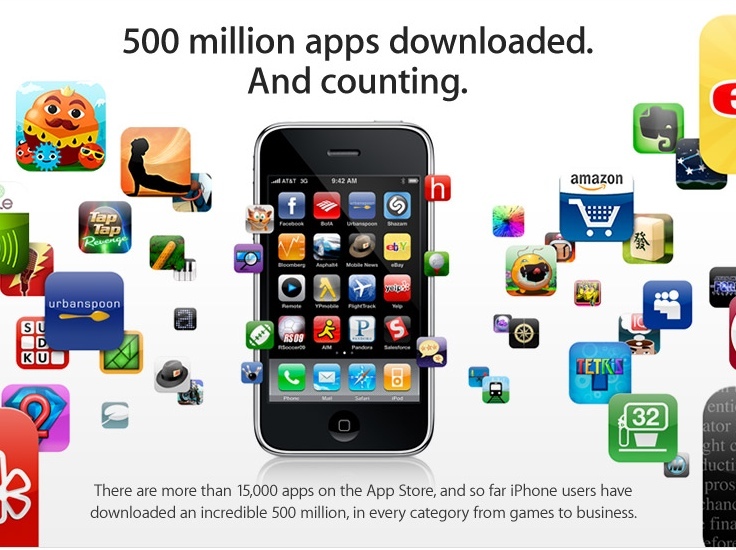 How would you like to double your iPhone 3G’s battery life? 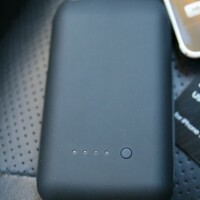 If you find that question intriguing, I suggest checking out the “Juice Pack” from Mophie! 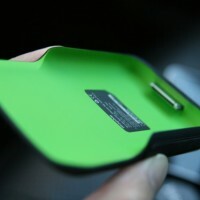 The Juice Pack is a portable rechargeable battery built exclusively for the iPhone 3G. It has a very soft and strong feel to it and adds almost zero bulk to the iPhone 3G when attached. It has an extremely light weight and thin design. The backing of the Juice Pack has a non-slip comfort grip which means it feels as smooth as your iPhone 3G but not as slippery, which ultimately leads to less dropping of your iPhone! And speaking of the back of the Juice Pack, it also comes with a very easy to understand battery life indicator. One push of a button lights up four blue LED’s and the fewer LED’s, the less the battery life. 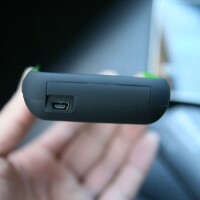 The indicators are very small and not noticeable as to keep with the sleek look of the Juice Pack. In my actual tests (two of them), I measured approximately 6.5 hours of additional battery life on Wi-Fi and 30 hours of Audio Playback (which is actually 2 hours more than advertised). So overall, I am very happy with the Juice Pack. If you need a charging solution because your iPhone 3G cannot make it through the day on a single charge, I highly recommend this product. 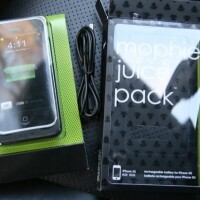 The Juice Pack can be purchased from Mophie’s Online Store in the one color (Black/Green) shown above for $99.95!